The Veterans Art Foundation has recently renewed it’s facebook and twitter accounts with a passion. We’ve driven in more traffic and fans then we have in months. We have over 350 followers in the Art, Veteran, and nonprofit communities. Our twitter grade is: 88 out of 100, which is a decent start. It measures our influence, reach, and followers ratio. The Facebook fan page now has 163 people “liking” it. It’s a small number to start with, but we’ve increased 150% in the last few days. Our links have been commented and re-posted across the net. We’ve also started a new campaign for a massive project that will bring together artists and veterans on an unheard of scale. I grew up, hoping to be one of two things. A cop or an Archeologist (thanks, Indiana Jones! ), and these at first seemed attainable. Arguably the archeologist one still is. I even graduated from Northeastern University with a degree in Criminal Justice. After failing to drift right into a police job, I joined the military. Spending four years in the army was no cake-walk. It also wasn’t too bad at times. The 16 months of combat took its toll on my mental stability and anger management. I went for disability and ended up walking away with 60%. The choice I made of admitting my problems and seeking disability has rendered my dreams of ever becoming a cop virtually nonexistent. The problem with disability (mentally and/or physically) and admitting you have them, resounds throughout your life. As a 60% vet, I cannot apply for police departments. The state has the highest, at 50 percent acceptance. Even then, I don’t think they’d allow me, with my depression and anxiety in. These issues will affect large numbers of veterans with problems. They have to balance their issues with job opportunities. A large portion of combat vets seek jobs in law enforcement or the likes. Those jobs suite their needs and personality. If they admit their issues, then they’re basically out of luck. Finding other meaningful work, will be tough. That’s why I hope to at least help alleviate some stress with this foundation. There will be thousands of disenfranchised veterans with little motivation when dreams disappear before their very eyes. Something needs to change, whether it be laws or employment standards. To deny veterans jobs, is a crime. IRS, wasn’t as big a problem as originally thought. Turns out I’d filed the correct papers with the State of Connecticut, but didn’t include the certified copy with my 501 (c) 3 package. So it’s still good. I need to ask for more time to get the copy out to the IRS. We’ve now raised with a bit of effort around 600 dollars. That’s not including some equipment. It will not go too far, but it’s a wonderful start. I will be posting more updates on this as time goes by. Today in the mail, I recieved a letter from the IRS. Normally, the government takes up to a year to decide whether to grant nonprofit status to companies. Apparently, they’re working over time. Today, they informed me that I need to update some of the information I sent them in the packet. The problem is, they only gave me about 12 days to complete it. To put it all together, it took me months. I fear losing out on the 750 dollars and having to start anew. It’s not a happy thought. This and our first fundraising event coming up. I need to touch this up. Otherwise it will all be for naught. All else is going well. From the invites for the fundraiser, I’ve learned a few things. One: Don’t send out RSVP cards without return addresses or names on them. I have no idea who’s sent me anything back. I’d assumed that people would write on them. That was my fault and ignorance. Two: Don’t send them out with mixed messages. It appears to have given a choice between the ticket price and donations. Again, rookie mistake. Three: Buy in Bulk. I bought 50 then another 50 from Staples. It worked, but I didn’t do them together and delayed some of the invites. That’s it for now. I need to figure this all out. The VAF was founded originally as a production company, named Blue Falcon Productions (more on what that means later). I had no idea how to write a business plan or anything like it and struggled with the paperwork. My partners moved on to other jobs and projects, and for a short while, found myself alone. Fortunately, my grant writer Virginia Ioccubucci convinced me to start a nonprofit art foundation. There was a great deal more I could do with the company at that point. For instance, we could create an art space for veterans and their families, or a film studio without being afraid of failing to produce blockbusters or anything commercially viable. We could help people and have a great time in the process. I, Mike Hawley, fancy myself a writer. I have no delusions of granduer. I know it’s nearly impossible for me to publish and become a best seller. The foundation won’t stress commercial success, solely individual. That’s our history in brief. Stay tuned for more updates/news, etc. This is an introduction to our nonprofit foundation. 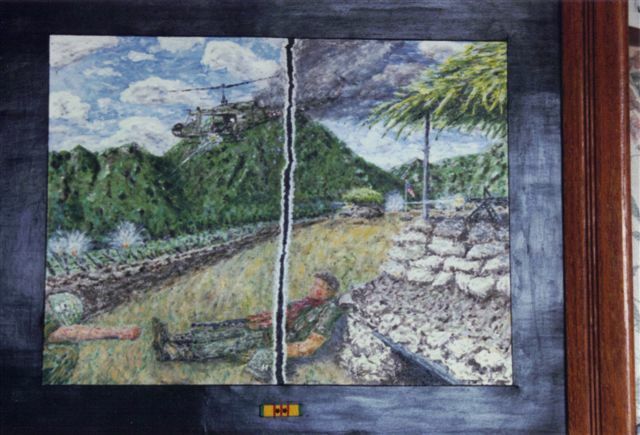 The Veterans Art Foundation is a nonprofit company founded by disabled veterans. It is designed to provide readjustment help, art classes, and an outlet for veterans and their families. We have filed for 501(3)c status. The company is in the beginning stages of fundraising. Please check our web page for more information or contact info for our officers.